I wonder what conditioner they use? Their hair is so perfect. If you appreciate comedy at all, you’ve already heard about this movie. If your religious beliefs forbid you from laughing, let me fill you in. 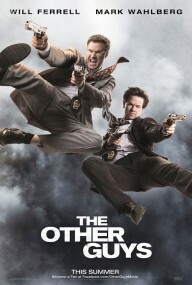 Mark Walberg and Will Farrell star as two cops whose careers are not where they were hoping they would be. Constantly subjected to the ridicule of the other detectives, including the balls-to-the-wall hot shots played by Dewayne Johnson and Samuel L. Jackson, they’re just trying to get by. The previews show a straight-shooting Mark Walberg trying to deal with a less-than-normal Will Farrell and hilarity ensues. Question is, is it worth your time? Ok, first of all I’ve got to get this out of the way. This entire movie is less-than-normal. Everyone is a satire on what they’re supposed to be, and the few characters that are supposed to be straight-laced come off looking like they’re in the wrong film. That being said, it’s a great “buddy cop” movie. The dialogue is very funny and I found myself laughing the hardest whenever Mark and Will were fighting. There is an exceptional argument concerning Lions and Tuna that almost made me leak a lttle of the cherry-coke I had been enjoying. The plot is simple and yet extremely complicated. The short story is this: the two Super Cops are running the city. After an extremely dangerous car chase, they are no longer able to perform their duties. Now there’s a power vacuum in the police force and there is a race to see who can fill that void. Mixed in there is a plot about Wall Street losses and the need to recover those losses. Thievery, kidnapping, murder and scaffolding permits all play a part before the conclusion is reached. There are so many things I want to write about and/or pay homage to, but I feel I would ruin a lot of the jokes in the movie if I did so. 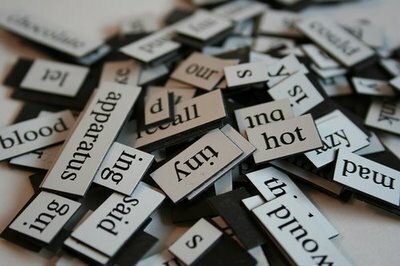 Word Vomit. I've got to get this out of my head. Now, because I care about myself a little more than you, I’m gonna list a few words and just get them off my chest. Gator, TLC, Peacock, Mother-in-law telephone, and Ballet. Thanks, I needed that. I’ve heard some people say that this is the funniest movie they’ve ever seen. I can’t say that it is. I laughed throughout most of it, and will definitely be picking this up on Blu-ray when it’s released. In the meantime, I’ll recommend it to anyone in search of a laugh. The Other Guys gets a solid 4/5 ships.